RC Willey has this amazing 65" Samsung UN65LS03N 4K Ultra HD Frame TV that is not only a television, it is a piece of art. 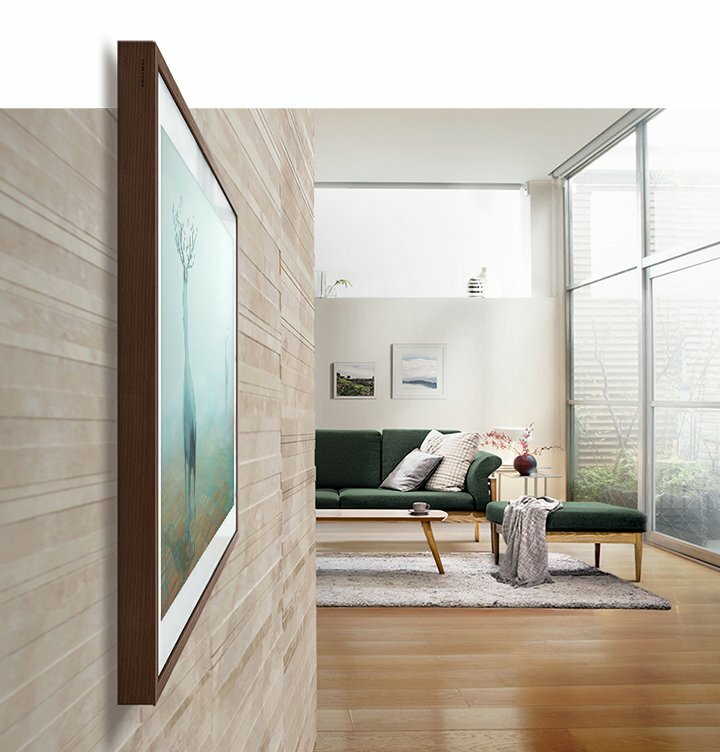 With revolutionary Art Mode and the power of 4K UHD, the Frame transforms from TV to beautiful, lifelike art that fits seamlessly into your home and décor. Whatever the space, the Frame will seamlessly and beautifully blend in. It’s a TV with a sense of style. A window to the world of art. A gallery of your fondest memories. And a connection to the things that matter most in life. The Frame transforms into a beautiful work of art when you’re not watching TV. The Frame includes a gallery of professionally curated art, with one hundred pieces from ten different genres. You can program The Frame to display a fresh image as often as you like. *Fees apply to subscription service. 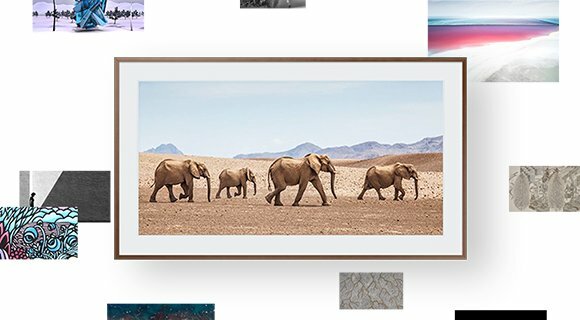 Elevate your space and make The Frame your own by enhancing it with a frame in black, white, beige or walnut. **Customizable frames sold separately. Walnut finish is simulated design. Hang your TV snug to the wall with the No Gap Wall MountTM3 that's easy to install and adjust. 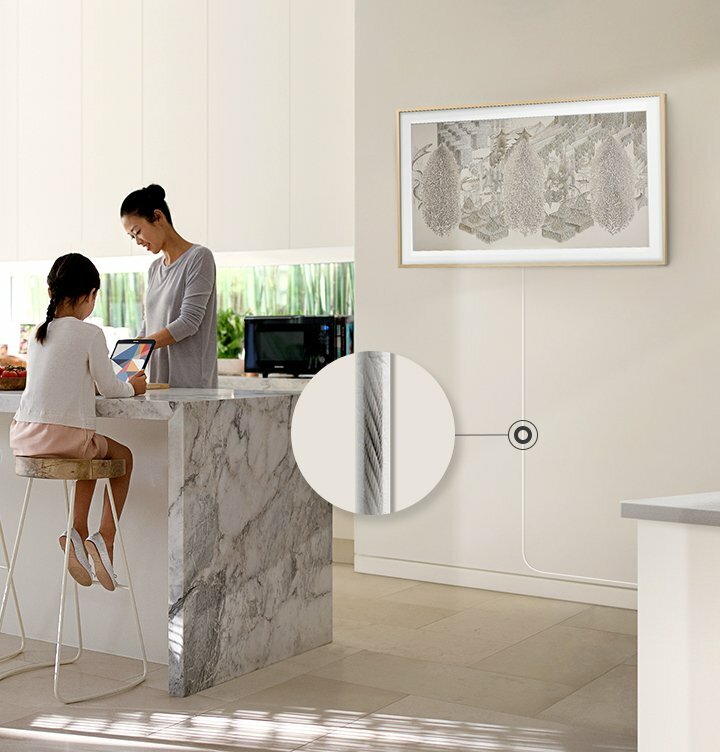 Our Brightness Sensor intelligently detects ambient light and adjusts the display settings so your art always looks its best.